Richard comes from a family of cross-country skiers. He first put on skis at the age of two and began competitions at the age of six. He became a member of the Canadian national cross-country ski team in 1977 and represented Canada at the world championships of 1977, 1979, 1982 and 1985. He withdrew from competitive skiing in 1985 (with 20 national titles) and has devoted himself ever since to polar expeditions, more specifically Arctic ones. 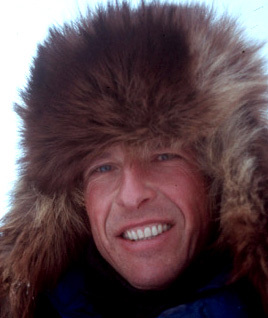 In 1986, with Brent Boddy, he became the first Canadian to reach the North Pole. In 1988, he became the first person ever to reach the North Pole starting from either side of the Arctic Ocean. In 1989, he became the first person whose GPS recorded the position of 90 degrees North. The same year, he guided a 'Global Concern Expedition' expedition, which launched a hot air balloon from the North Pole. In 1992, with Mikhail (Misha) Malakhov, he became the first person to try to reach the North Pole without supply or assistance. In 1993, the first commercial expedition to the North Pole; the North Pole Dash organised by Richard and his friend Malakhov. In 1995, Richard and Misha became the first people to get to the North Pole and back without any external assistance. This feat has not yet been repeated. In 2006, with Conrad Dickinson, he became the first person to go to the North Pole without assistance and using only snowshoes. In 2009, he accomplished the Hercules Inlet - South Pole trek in 33 days, 23 hours and 30 minutes, a record time. In 2010, he successfully completed the Ward Hunt - North Pole route for the seventh time. He was accompanied this time by his son Tessum (20 years old in 2010), and by two other adventurers, David Pierce Jones (a 45-year-old Genevan) and Howard Fairbanks (52-year-old South African). Departing at the end of March, they reached the Pole on 14 April after 41 days, 18 hours and 52 minutes. With his wife, Josée Auclair, and their two sons, Tessum and Nansen, Richard operates Arctic Watch, the open air base at the northernmost point of Canada located at the Cunningham Inlet on Somerset Island in Nunavut. Via their company, Canadian Arctic Holidays, they organise and guide Arctic expeditions (some of which polar) as adventure travel. Richard is the only person to have led six major expeditions to the North Pole.